Are you searching for a way to help the many people and pets displaced by Hurricane Florence? 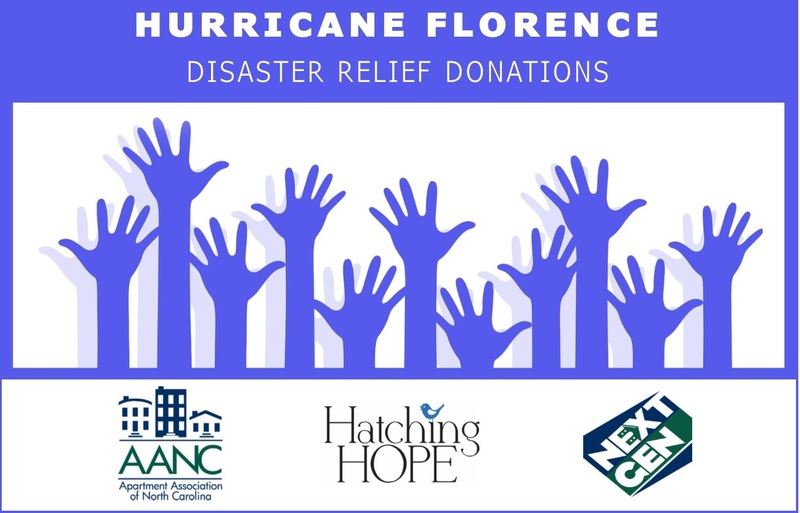 Driven by AANC's NextGen Committee, AANC has partnered with Hatching Hope to bring disaster relief to our residents in the Carolinas. Hatching Hope serves the multifamily industry exclusively and is in the process of bringing the first wave of supplies to the Carolinas. Donate now to help fund the donations for this relief effort and future efforts. All donations when made directly to Hatching Hope are tax deductible.